I have been amiss. It was brought to my attention – in my rush to show all things Italian – that I have left out a group of people, one of whom is a good friend. I have covered both "meatologists" and vegetarians but forgot those who cannot eat gluten. It's a challenge to eat this way. Think for a minute, you go out on a Friday night for a beer and a burger, or pizza or pasta… Oh, wait. You can't have any of those foods. Not even the beer. Makes you think, doesn't it. You either do without, or break down, eat some and suffer.. Not a good solution. The most common reason for intolerance to gluten is Celiac Disease, which is a chronic inflammatory disorder in which the body cannot effectively digest fats or wheat gluten. If they do it causes damage to the intestines. It's easy to forget dietary concerns when you don't have them. 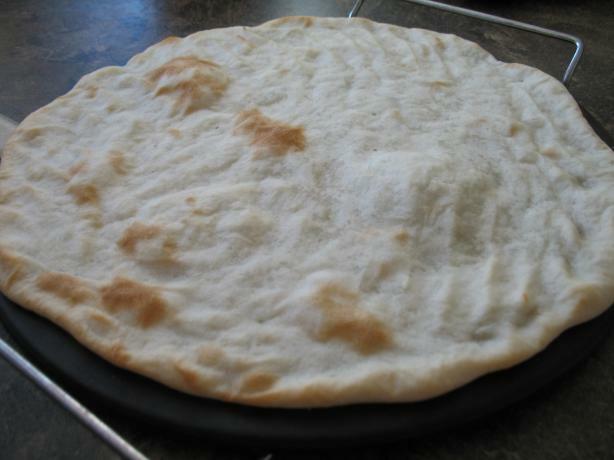 It's a challenge to find acceptable alternatives for basics others take for granted – bread, pizza dough and pasta. There's quite a few "bad" substitutions out there. It's difficult because gluten is what gives the pasta elasticity and bread the ability to hold a rise. So you have to be clever. An interesting addition is zanthan and guar gums. 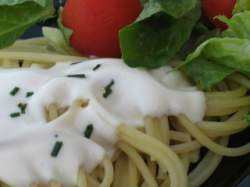 Xanthan gum is used as a substitute for wheat gluten in gluten-free breads, pastas and other flour-based food products. Those who suffer from gluten allergies should look for xanthan gum as an ingredient on the label. I've looked for a bit and I think I've found acceptable recipes for all three. Where I found each is cited at the bottom of each recipe. Combine yeast, sugar and 1/2 cup of water. Let rise in a warm place until yeast is "proofed" (bubbly and frothy). Mix flours, shortening and remaining 1/2 cup of water. Combine with risen yeast. With oiled fingers, spread dough on pizza stone sprinkled with cornmeal. Use as you would gluten crust. 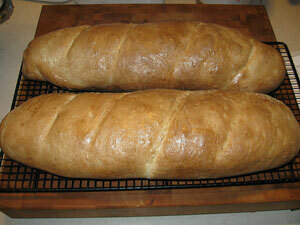 *Be generous with the flours as you measure and do not be afraid of the dough being runny! This will produce a softer, lighter crust. In mixing bowl, combine soy flour and salt. Make a well in the center. Add egg and canola oil. With a fork, slowly whisk egg and oil into the surrounding flour/salt mixture until dough is coarse and crumbly. Add 1 Tbsp at a time of water at a time, incorporating with flour. Work dough with the heel of the hand for 5 minutes. Cover with inverted bowl and let rest. Using a pasta extruder, feed dough in walnut-sized pieces. Spaghetti will be pressed through the machine. 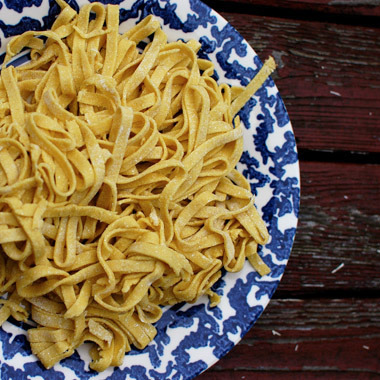 Cut pasta to preferred lengths (usually 8-10”). Let rest on a towel for up to an hour. Alternatively, cut into quarters and use a pasta roller as usual. Bring lightly salted water to a rolling boil in a 2 quart pan on the stove. Add pasta. Cook for 6 minutes. Drain and serve. Mix together, knead and roll as usual. In the bowl of a heavy-duty mixer, place flours, xanthan gum, salt, and egg. Blend with mixer on low. In a small bowl dissolve the sugar in the water, and add yeast. Wait until the mixture foams slightly, then blend into the dry ingredients. Add the butter, egg whites, and vinegar. Beat on high for 3 minutes. The dough will be quite wet. Cover the dough and let rise in a warm place until doubled in bulk, 20 to 25 minutes. Just before baking, slash dough diagonally every few inches. Brush with butter. I hope these recipes help redeem me.